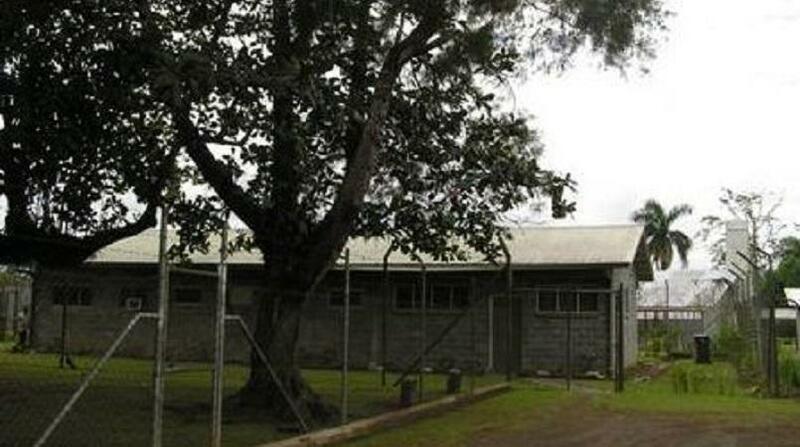 Four escapees were killed by police, three were wounded and recaptured while eight are still on the run, after they broke out this morning at Buimo jail in Lae. According to Lae Metropoliten Superintendent, Anthony Wagambie Junior, the breakout happened at around 10am, when 14 inmates overpowered guards and stabbed one during the weekly Saturday family visitation period and dashed for freedom. A CS officer was stabbed when the group of prisoners dashed for freedom, where they went as far as the Administration area of the Correctional Services. There is currently a manhunt by Correctional Service officers and Lae police are calling on the public to help them identify and hand in the remaining escapees. Of the 14 escapees, 8 of them are convicted prisoners serving time, while the other six are remandees who are on trail awaiting their court verdicts. Chief Superintendent Anthony Wagambie Junior, said police intelligence warned of an iminent prison break and he directed two of the Sector Response Unit (SRU) patrols to go into Buimo and show their presence. “Quite a big number of prisoners would have escaped today. Police reinforcements were at the scene and other possible escape routes in less than 10 minutes,” Chief Superintendent Wagambie said. The six remaining escapees are believed to have gone to Miles area by climbing over the mountain range separating West Taraka from Miles and police are conducted foot patrols throughout the area.